When alumnae from the 1970s and 1980s gathered last weekend for conversations and connections, they had the pleasure of hearing Wake Forest’s Presidential Endowed Professor of Southern History, Michele Gillespie, speak about Katharine Reynolds at a Graylyn dinner. They didn’t know they were being treated to a lecture by a professor on the verge of being named the new dean of the College. 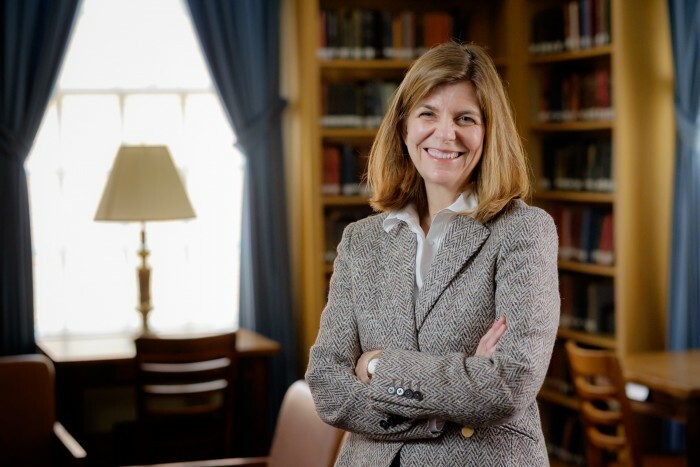 Provost Rogan Kersh (’86) announced her appointment this morning. 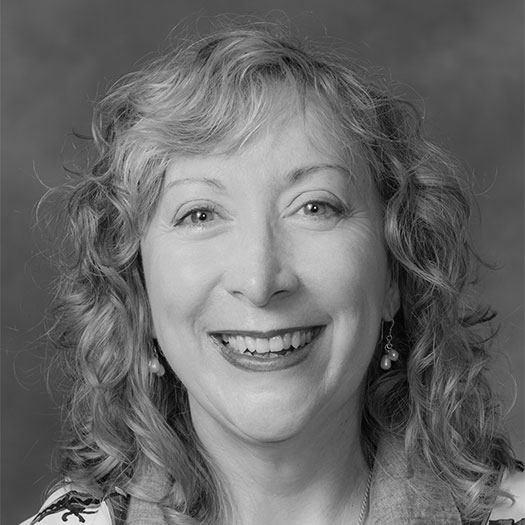 I add my congratulations and best wishes from the Wake Forest Magazine staff to the many Michele will be receiving in the coming days. She is one of those teacher-scholars whose work has been heralded in the magazine through the years, starting with a profile 11 years ago that explained how she landed here. Her husband, Kevin Pittard (’85), had been invited from Georgia to receive the Wake Forest Marcellus Waddill Excellence in Teaching Award in 1998. Michele was teaching at Agnes Scott College in Decatur, Georgia, while Kevin taught high school history in Covington, Georgia. As good fortune would have it, a job opening occurred at Wake Forest three weeks after the visit. Wanted: a Southern historian. Michele got the job. Her husband eventually wound up on campus, too. He is associate dean of undergraduate admissions, working with Admissions Dean Martha Allman (’82, MBA ’92). That assessment came only five years into her time at Wake Forest. Think of how many people she has influenced since then, how many students she sent out to find primary sources for their research. Her name comes up often when I speak to alumni about professors who mentored them and helped sharpen their thinking. She is beloved. Michele Gillespie teaches a seminar class in 2013. Michele told the alumnae at Graylyn about writing her 2012 book about R.J. and Katharine Reynolds. She found Katharine Reynolds inspiring for her industriousness, her progressive outlook given the times, her willingness to take on Wall Street and demand her place as a businesswoman and her commitment to education and the greater Winston-Salem community. 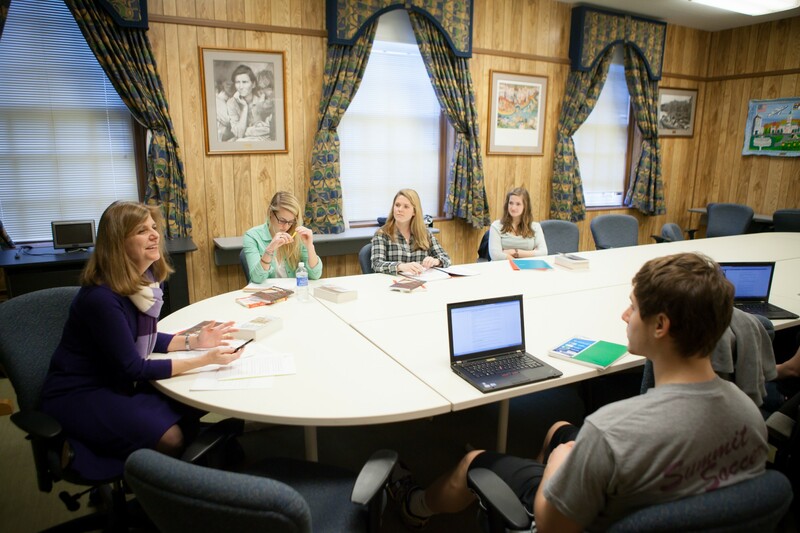 We are fortunate to have a woman of similar devotion taking the helm as dean of the College. She is not an alumna, but she is ever mindful of history and heritage. Pro Humanitate is a motto she embraces. At Wake Forest we congratulate our new dean. I have every reason to believe she will be our own partner of good fortune. Read more about Michele Gillespie’s book “Katharine and R.J. Reynolds: Partners of Fortune in the Making of the New South” and about her interview with one of the Reynolds’ descendants, Barbara Babcock Millhouse. 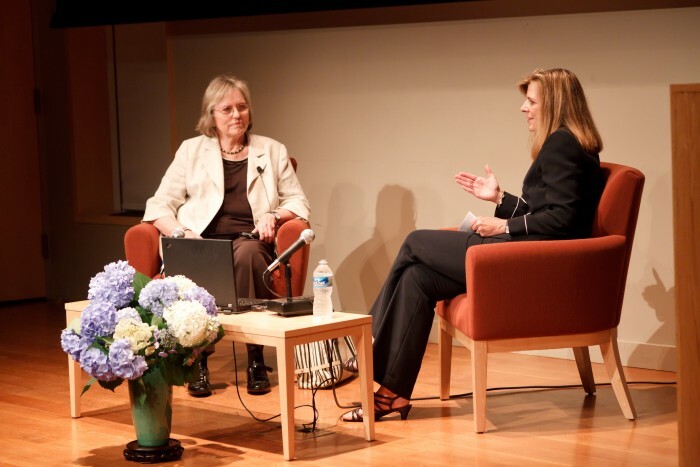 Barbara Babcock Millhouse and Michele Gillespie discuss Gillespie's 2012 book "Katharine and R.J. Reynolds: Partners of Fortune in the Making of the New South."